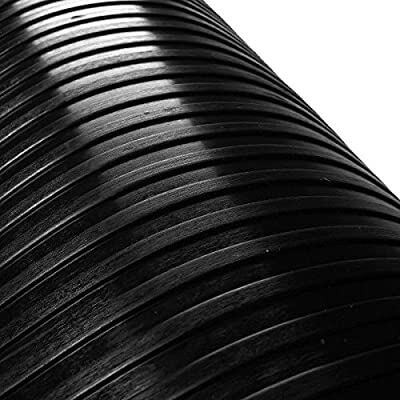 Herco Household, Business and Industrial Flat -Rib Matting is made of a specially compounded vinyl rubber material that is super durable and extra tough for all heavy traffic applications. Wide rib corrugations trap dirt, sand, dust and moisture and allow for easy cleaning. This matting is great for use in hallways, corridors, entrances and lobbies. Protects all flooring surfaces including carpeting. Widely used in homes, apartment complexes, clubs, restaurants, hotels, motels, hospitals, factories and industry. Also perfect for lining tool boxes, trailer beds, running boards, cars, boats, RV's, dog kennels and virtually anywhere you need heavy duty protection, traction and shock absorption. Will not curl and lays flat. Available in many stock and custom sizes and lengths. See our other listings for details. 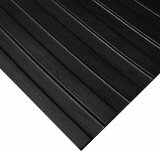 1/8" thick commercial-grade 100% Vinyl Rubber construction for superior durability and comfort Wide Flat Rib Runner Mats are resistant to curling, cracking, and warping. 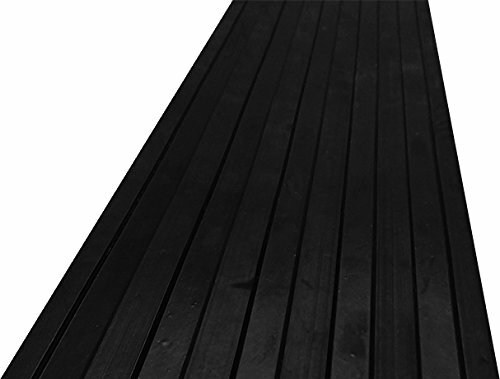 Sure-footed, easy cleaning flat rib design traps debris and water Smooth back specially compounded for use as a surface covering Extended wear, all-weather, chemical-resistant, ultra protective.